Border Sports Services are pleased to announce that we have been appointed the UK distributor for this innovative product. Bunkers are one of the most labour intensive parts of any golf course to maintain and, during the rainy season (January to December in the UK it feels like sometimes!!) when the fines and silt from wash downs clog up the drainage systems, bunkers often end up looking like muddy bogs. Then there's the labour costs to return them to a playable standard, add to this the problem of keeping stones and contamination rising from the floor of the bunker, it's easy to see that bunkers are undoubtedly one of a greenkeeper's biggest headaches. Capillary Concrete®, backed by sound research, physics and engineering principles is the answer! We look forward to seeing our customers, old and new, at the show in January. On the back of a successful year servicing customers around the UK, we will be displaying a range of our products for everyone to see. With quality very much a key focus for us we are pleased to be showing some of the new and improved products from Mivena BV speciality fertilizers, along with products from Rufford, Gro Green, Verde Sports, Cloburn, Levenseat Specialist Sands, XL Pro Bio and more. So spare a few minutes to call in and see us, it won't be time wasted. A big thank you to all our customers, old and new, who despite the adverse weather contitions made it to the show and joined us on the stand it was good to see you all. Unfortunately we could not speak to everyone, it was a very busy show, and not enough of us to go round, we would still love to hear from you though, so please send us your enquiry or give us a call. Over the coming weeks we will be making changes and adding quite a bit of content to the website, so please keep checking back, it might be something of interest for you. Lets all hope that the weather is going to be a bit kinder to us this year! 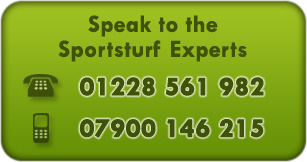 We will be exhibiting at BTME in Harrogate from the 22nd January to 24th January 2013, and look forward to seeing existing customers and welcoming potential new customers alike. This year we will be launching some new and exciting products from Mivena, to add to their already impressive range of fertilizers and a new updated product guide. We will also have on display some new products from Rufford as well as a selection of their current range of sands, rootzones and top dressings. Of course we will be on hand to answer any of you queries or discuss your requirements. We are very happy to launch our new website! Please keep checking back here to see our latest news and updates which we will be giving on a regular basis. We would love to hear from you telling us what you think about our new website so please contact us to get in touch. If you require any more information on any of our products or services you can also get in touch with us to find out more.